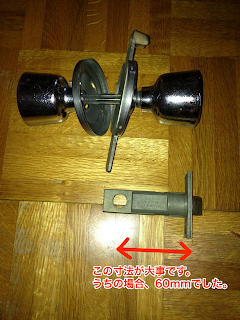 I had a telephone from the parents' home as the key of the toilet broke. Please measure a backset size. 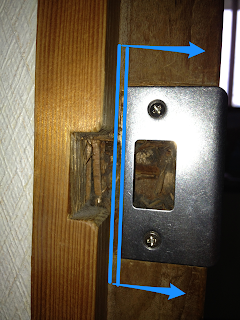 A backset size is the distance from the center of a knob to the end of a door. 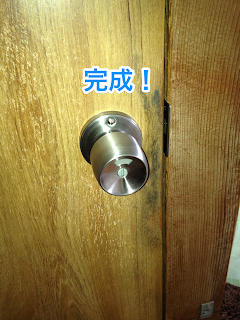 I have bought the doorknob for toilets in the DIY center. There were four checkpoints. 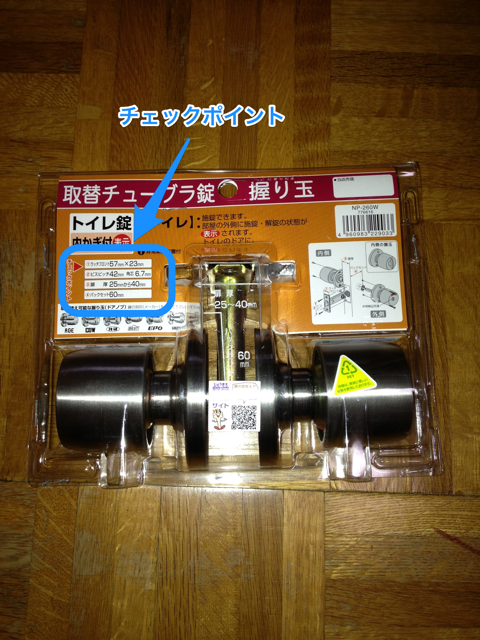 However, I purchased the product whose backset is 60 mm. The following is a checkpoint. By chance, all the sizes were success. But those who think is anxious should bring the old products to a DIY center. A little processings are required. Old metal fittings are T types. 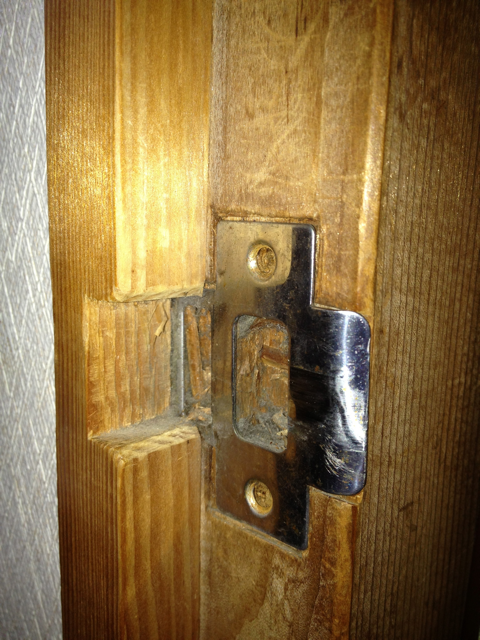 New metal fittings are not T types. The portion in which it interferes is deleted by a cutter. 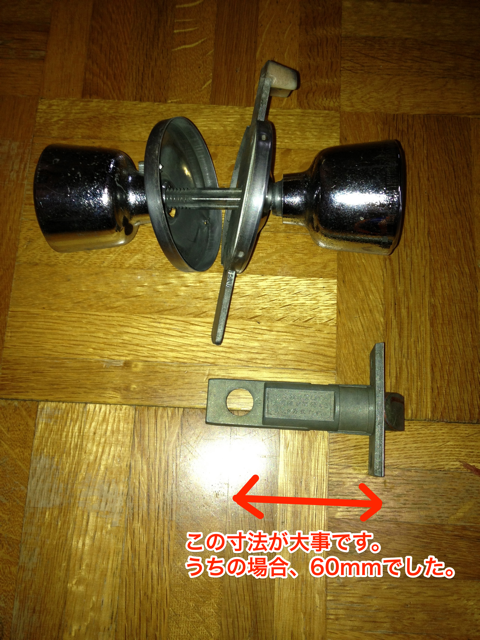 Metal fittings are moved in front just for a moment. 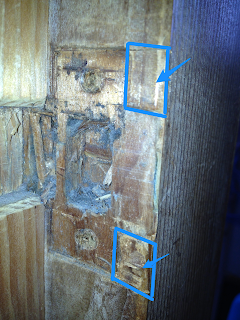 This house was built 30 years or more ago. I was impressed by new metal fittings suiting an old door. 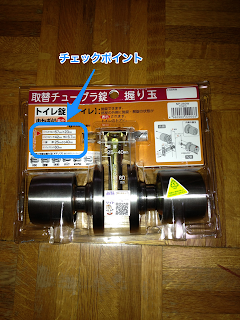 I think that I suited since the size of this part was prescribed by JIS(Japanese Industrial Standards). これもスパムの仕業でした。This seems to be spam, too.